Powered by the crowd - Traits AI, Inc. They say the only constant is change – the world is definitely in a perpetual state of change, that much is certain. Since the expansion of the Internet, we have grown accustomed to sharing our lives online. We share content on YouTube, opinions on forums like Reddit, our voice on Ivoox, our knowledge on blogs and online courses, and our life on social media. Now we’re entering the Age of Artificial Intelligence where AI avatars will be providing intelligent services in the background to make our lives easier, help our businesses grow, and help us live richer, fuller lives. In our blog post about Cognitive Surplus we talked about the opportunities that a connected world brings. Now we would like to dive deeper by introducing a reward system in crowdsourcing platforms. If you haven’t heard about it yet, Amazon has a crowdsourcing platform called Amazon Mechanical Turk where you can earn money by doing work that requires human intelligence and can’t yet be done by a machine. As a requester you can introduce Human Intelligence Tasks and pay a reward to people that do it. It has been used sometimes to help AIs to develop its intelligence. For example check out Fantom developed by students of Sweden’s Royal Institute of Technology. It is a conversational AI that blends human intelligence and AI all made possible with the help of Mechanical Turk. Actually, it’s a fairly common practice to use Amazon Mechanical Turk in AI research and development. For example, we use it for training and validation of datasets, transcribing text in images, and in the categorizing of images. Our first AI avatar, Satoshi works with a similar way by crowdsourcing responses to questions. It’s not pure AI, but instead is hybrid intelligence. This approach has the advantage of getting real-time feedback from people. When you think about it, this makes a lot of sense because its people who determine the current outlook on any given topic. 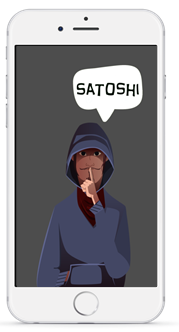 The Satoshi app launch is approaching soon, but when it first launches there may be not enough users to respond every question asked. Amazon Turk is an awesome resource that would create a stepping stone in order to reach critical mass. Once Satoshi has enough users then he’ll be unstoppable! One of the main benefits of using Satoshi is that you can earn money – much like you would on Amazon Mechanical Turk for completing small tasks. The way it works is that users can set a bounty reward for their question and whoever suggests the best response is awarded the bounty. This is a new way to make money on your smartphone in your spare time by sharing your knowledge about any particular subject, in this case bitcoin, blockchain, and cryptocurrency. We’re really excited about what changes the future holds, especially how we can help enrich people’s lives by providing new ways to earn money online. Thanks for reading and stay tuned for more!